Friends and Family around a dinner table will share life’s special moments with a wholesome meal. During the Christmas season, if you are trying to come up with gift ideas make sure to check out our Meal Gift Baskets. 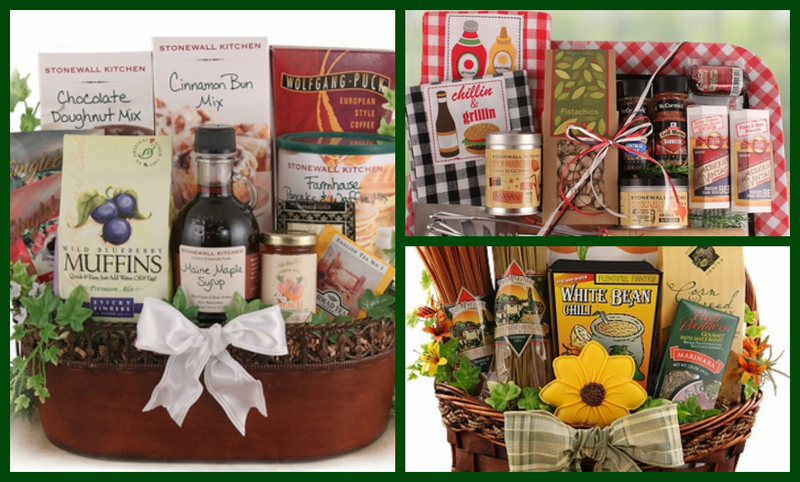 We have a large selection of meal baskets that make for the perfect Christmas gift basket. Some of our baskets include breakfast items such as blueberry pancakes and waffles. We also offer healthy family meals and barbeque kits for those Grill Masters you may know! To help you in your decision for the perfect Christmas gift, here are some of the delicious meal gift baskets we have. Healthy Family Meals Gift Basket – Delicious meals and tasty snacks are included in our family food basket. Spaghetti, pizza, chili with cornbread is just to name a few! Barbeque Grill Master – This is the perfect gift for those who love to grill during the summer months. This kit includes your essential utensils such as tongs and a spatula, as well as flavorful rubs and seasonings. Down Home Country Breakfast Kit – This country style breakfast kit is the essential for your mornings. It includes all of the delicious ingredients to make a great breakfast. Inside the kit are wild blueberry muffins, pancake and waffle mix, cinnamon bun and even a chocolate doughnut mix! 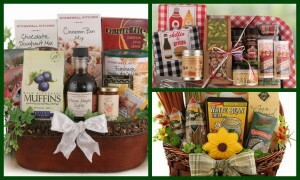 Browse our selection to find the perfect Christmas gift basket at BisketBaskets.com. 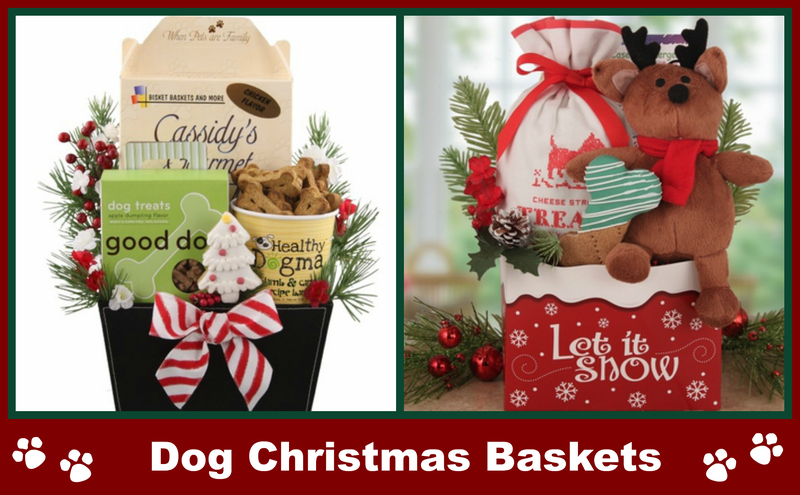 Dog Christmas Gift Baskets Your Pooch will Love! There’s no doubt we love our pets and find any special occasion to treat them. Luckily for our canine best friends, Christmas will be here in a few short months! Show your dog you love them with a dog Christmas gift basket from BisketBaskets.com. Here are some Christmas gift baskets that your pooch is guaranteed to love. Dog Holiday Wishes Gift Basket – Bisket Baskets dog holiday basket is filled with an assortment of healthy and gourmet biscuits. This holiday gift basket is wrapped and designed inside a cute green and red paw print container. This gift will be sure to have your dog’s tail waggin’ for more! Reindeer Games Dog Gift – We guarantee your dog will have hours of fun playing with his new plush Reindeer Dog Toy. Also in this basket are delicious Harry Barker biscuits for when he is done playing. This is a great gift for any special dog in your life. Heirloom Bone Stocking – Our handmade heirloom stocking is filled to the top with fun and tasty surprises for your pooch to enjoy from Santa. You can choose to have the stocking filled or unfilled so you can put your dog’s favorite things inside. See something your dog will like? 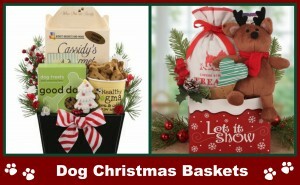 Visit us today for more dog Christmas gift baskets at BisketBaskets.com! Give the gift of health with a Healthy Gift Basket! Any marathon runner will tell you that a month leading up to their big race is one of the hardest – both physically and mentally. 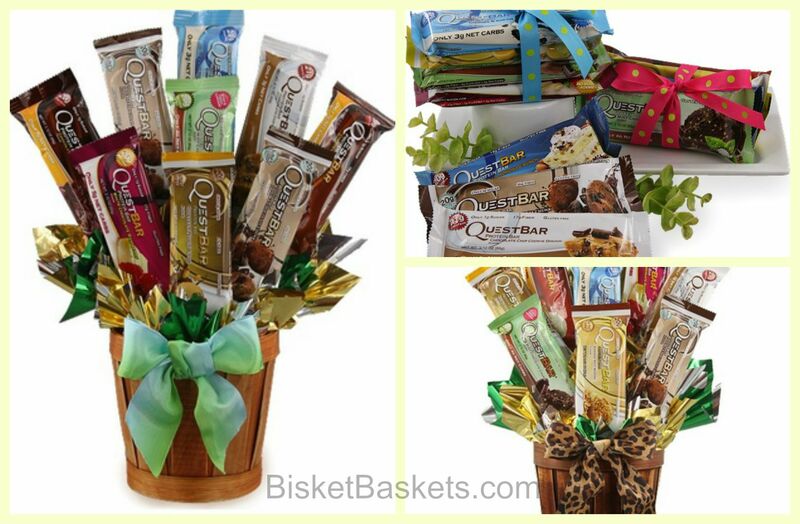 Make sure to check out our new Healthy Gift Baskets! Many hours are spent training for their biggest run yet, along with strenuous exercise and dietary restrictions. Here’s the good news – you can now give them a gift before their big day and have it be something they can eat with our brand new selection of healthy gift baskets! It’s the perfect way to show you care before your loved one runs a race, has a strenuous swimming meet, or is working on keeping their body slim and fit for competition. These healthy gift baskets have just arrived to our already extensive gift basket selection and are a great alternative to sending a basket of snacks for someone who can’t indulge quite as much as we’d like them to! Make sure you check out our collection of healthy gift baskets today at BisketBaskets.com!